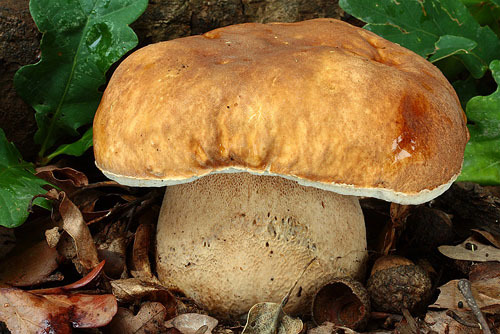 Cap up to 20cm, hemispherical, then convex, flat convex or flat, mostly dry or sometimes slightly viscid, especially older fruitbodies and in wet weather, usually finely to coarsely cracked, almost uniformly coloured throughout, pale brown to brown, sometimes discoloured to ochraceous, greyish ochraceous or almost entirely whitish, not blueing when bruised. 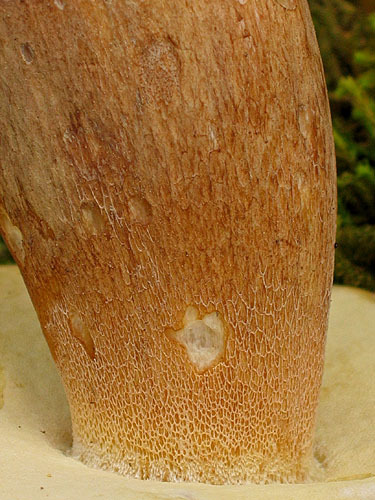 Stipe club-shaped or cylindrical or sometimes, almost concolorous with the cap, with fine network throughout. 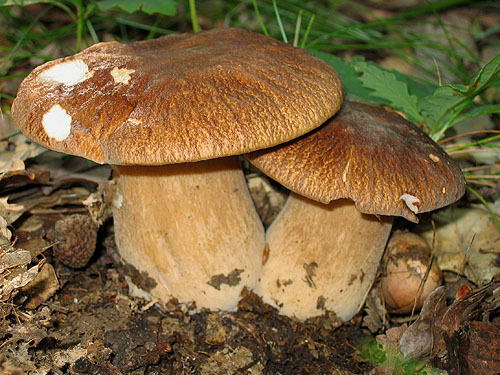 Flesh white, sometimes spotted brownish at the stipe base, unchanging when exposed to air. 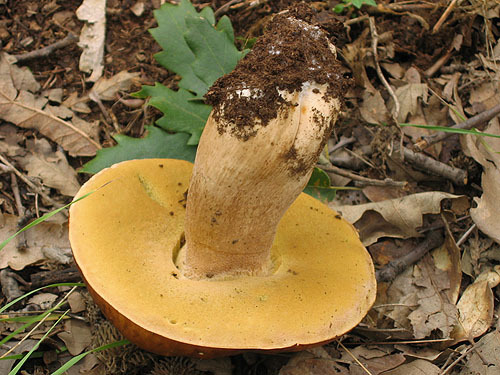 Tubes initially white, then cream, pale yellow to yellow with olivaceous tint, unchanging when exposed to air. 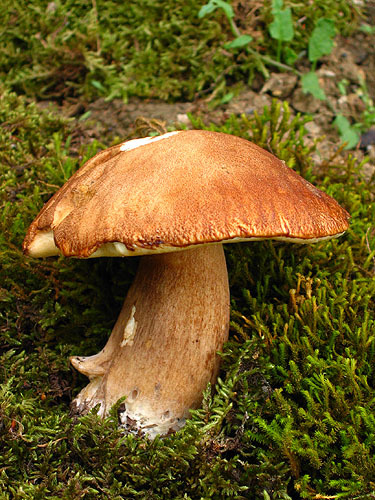 Pores concolorous with the tubes, unchanging when bruised. Smell not distinctive. Taste not distinctive. 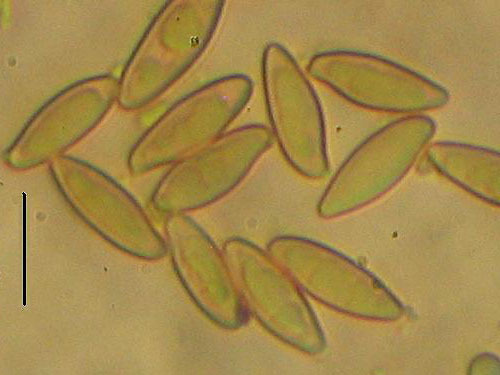 Spores 11.5–19.5 × 3.5–5.5 μm, ratio 2.6–4.2. Pileipellis (the cap cuticle) trichodermium of interwoven septate hyphae. Cells of the hyphae moslty cylindrical, not incrusted. 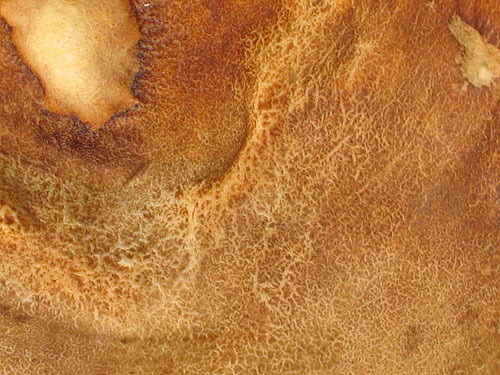 Chemical reactions: hyphae of flesh in the stipe base inamyloid with Melzer’s solution. Note. 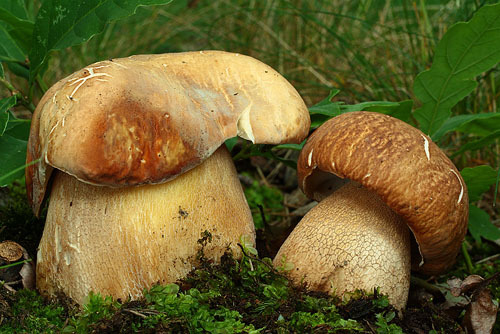 Some authors use for this species the name Boletus aestivalis Paulet.